Test your C-ITS Systems in a cost and time efficient manner under real traffic conditions. C-ITS systems using V2X communications are developed for large scale deployment. However, before any C-ITS system is fully developed and deployed, an extensive phase of testing is required. Using dedicated private test tracks and simulations are two key methods for testing C-ITS systems. simulations provide cost, repeatability and scale benefits although they require accurate and interconnected models for obtaining realistic results. OECON´s “V2X Sim4real soft ware” implemented on a section of Lower Saxony Testbed bridges the gap between these methods and provides a cost and ti me efficient alternative to test your single cooperative vehicle in daily traffic with your desired penetration rate. This is achieved by emulating V2X messages by real ti me monitoring of traditional vehicles driving on the same road in the vicinity of the test vehicle. 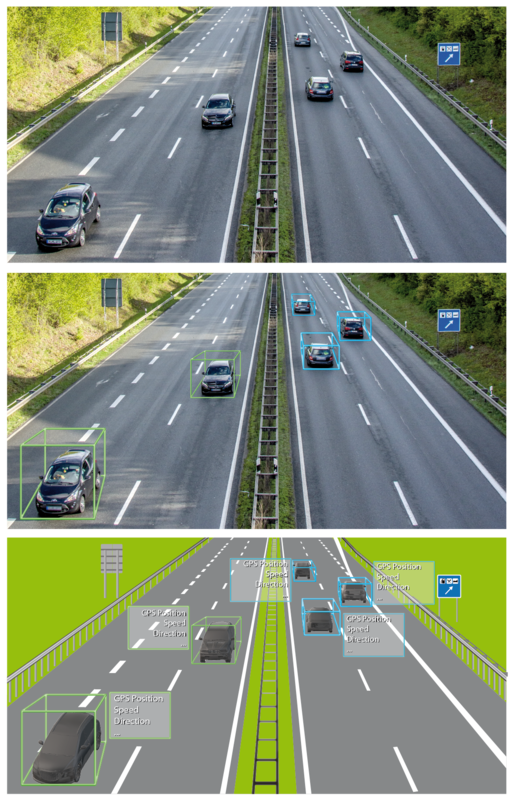 As the emulated messages are generated from the kinematic traffic behaviour of physical vehicles, they are accurate, realistic and consistent with the on-board sensors of the test vehicle.